No Rest for the Young! A tough life in the beginning, keeping on the move with the guard up 24 hours a day. 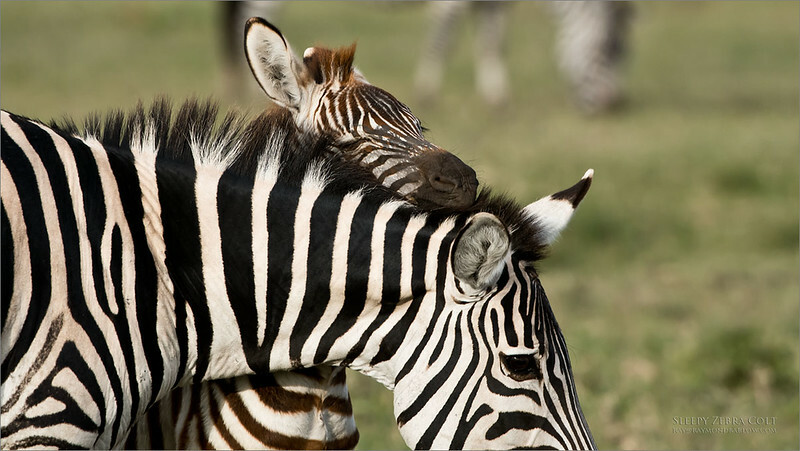 This young Zebra need a break, using the adult females neck for a pillow. Such a character animal. The opportunity to watch it from day one to adulthood would be brilliant!